We’ve all been shocked by one Max Muncy this season. No one saw this coming, not even the biggest Muncy fan (who is probably someone in his family). He’s leading the Dodgers in wRC+ (175), walk rate (15.9 percent), isolated power (.354), home runs (13) and FanGraphs’ wins above replacement (2.2). This is as a 27-year-old who spent all of 2017 in Triple-A with Oklahoma City. His last MLB appearance before this season was Sept. 29, 2016, when he pinch hit and played left field for the A’s against the Mariners. He has come a long way since then. His season with OKC was decent. He hit .309/.414/.491, but it was as a 26-year-old in Triple-A. It was hit best minor-league season to date, but there was still no inkling that he’d be a force in the majors. His LA Dodger career didn’t get off to the hottest of starts, either. Muncy came up on April 17 and, at his lowest point, he had a .190/.306/.357 triple slash through May 9 (arbitrary endpoint, for sure) and on the verge of being optioned back to Triple-A. Jeff Sullivan of FanGraphs had a nice breakdown of the swing adjustments Muncy has made since coming to the organization. Ahh yes, the leg kick. It’s evident, as Sullivan uses screenshots from 2015-16 with Oakland and 2018 with the Dodgers. Justin Turner can tell you all about leg kicks. Sullivan would go onto praise his strike zone judgment, and that’s a big part of the breakout. Joe Davis mentioned on the broadcast last night that Muncy, over the last couple weeks, hadn’t been seeing a lot of strikes, but he also hasn’t been chasing pitches outside the strike zone. He has the 5th-lowest chase rate in the last couple weeks, but he has actually seen a lot of pitches in the strike zone (44.5 percent, 70th-highest in MLB). But if you go out to the last 30 days, Muncy has the lowest chase rate in the game (16 percent). He also has a similar 44.6 percent Zone% (43rd). This has translated into a season-long theme for Muncy. Among players with 150 or more plate appearances (he’s at 157), he has the 7th-lowest chase rate at 19.4 percent, which is better than guys like Mookie Betts (20 percent), Andrew McCutchen (20.2 percent) and Alex Bregman (20.3 percent). His swinging strike rate is also a solid 7.8 percent (the two correlate to one another). Because of his elite plate discipline, he’s been able to use that to wait for his pitch, and he hasn’t missed. He has a .354 ISO, which is ridiculously unsustainable for most players. But Muncy has a well above-average exit velocity (92.1 MPH) and a fantastic 17.1-degree average launch angle. That translates to an average distance of 219 feet — 4th-best in the majors (minimum 75 PA). 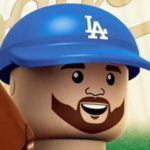 Muncy might very well be this year’s Chris Taylor. It’s not a 1:1 comparison, but more that the Dodgers have coached up a mid-20s player who had at least some pedigree coming up through their respective orgs. He’s also proving that, still, home runs are good. That has fueled his ascension to being the Dodgers’ most valuable player to date. 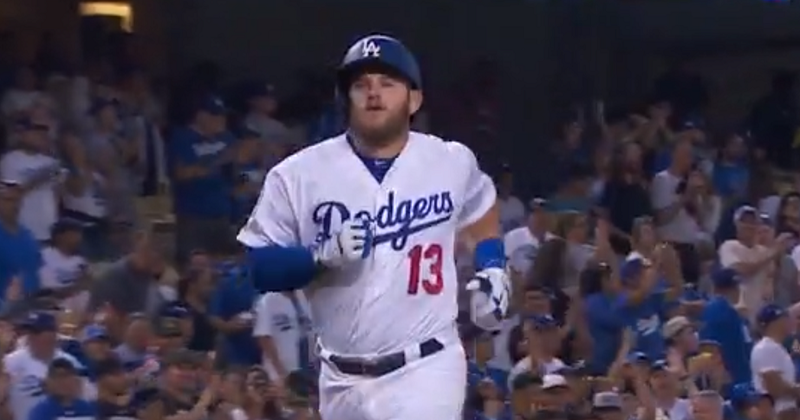 Max Muncy, MVP. It has a nice ring to it. We’ll see if he can continue this type of dominance. I’m not expecting him to continue to produce otherworldly ISO numbers, but he has forced the Dodgers’ hand by having Cody Bellinger get some time in center field so that Muncy’s bat can remain in the lineup. If Turner’s wrist requires another disabled list stint, they’ll have Muncy to plug in at third base. And he started at second base for the first time last night, so that might even be an option. The Dodgers got off to a bad start this season, but they’ve righted the ship. It’s thanks to players who are capable of producing actually, you know, producing. But it’s also thanks to guys like Muncy (and Ross Stripling), who have come out of nowhere to be incredible contributors.